Valve regulated, sealed lead acid maintenance-free batteries. Heavy duty lead calcium alloy grids. 6 and 12 volt types. 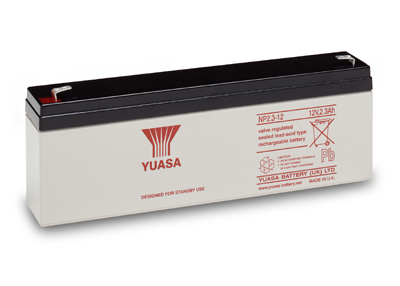 1.2 Ah – 65 Ah capacities. Incorporates a pressure safety valve. Use in any orientation except inverted. Designed for float or stand-by use. These batteries should be charged with a constant voltage charger at 2.3 V per cell standby and 2.5 V per cell with a current limit of 0.25 x capacity (Ah) for cyclic applications (max 20 hour charging).